Calling all sausage lovers! 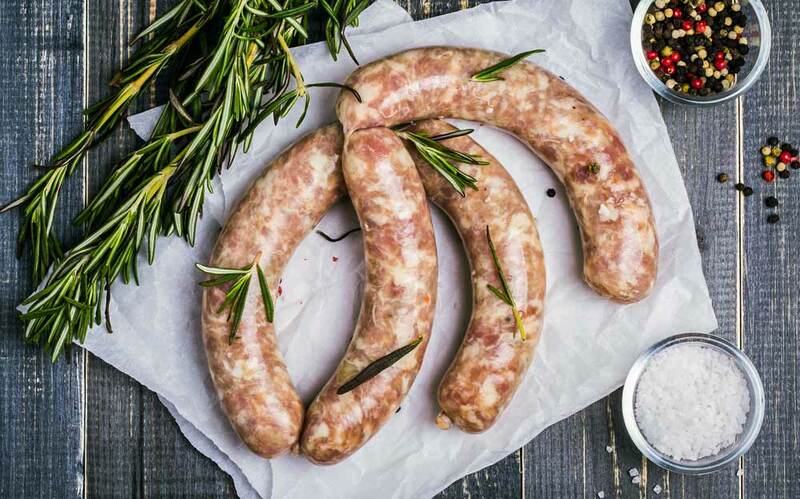 In this artisan class Mish Tournier will take you through everything you need to know to make your own delicious sausages. From which mincing machines and casings to use, to which meat works best and in what proportions, Mish will arm you with all the knowledge you need to go home and experiment to your heart’s content. In this hands-on class you will be making your own chorizo, chevapi and a delicious Thai green curry sausage. At the conclusion of the class you will enjoy your creations with a complimentary glass of wine or cold beer. You’ll take home all the instructions and recipes too. Don’t miss out on what will be a fun, informative and delicious day!